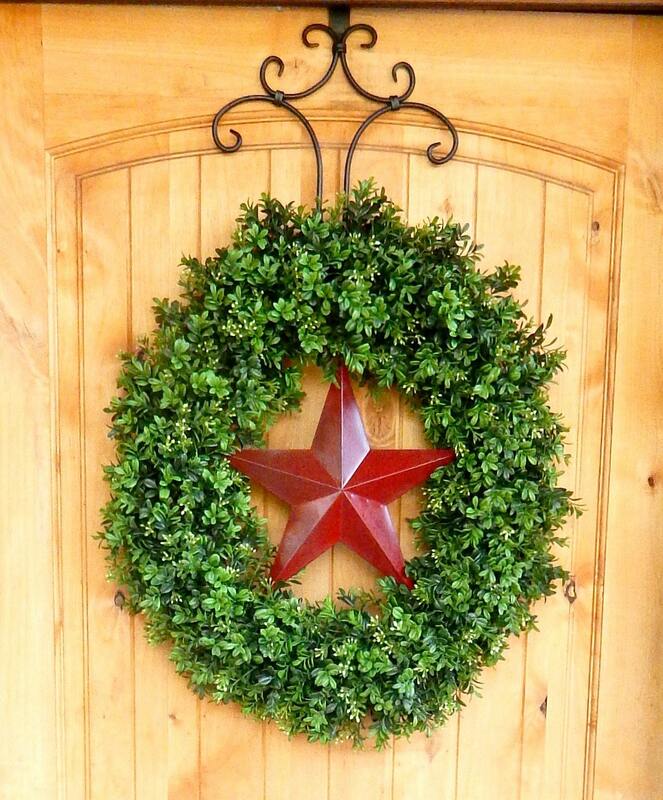 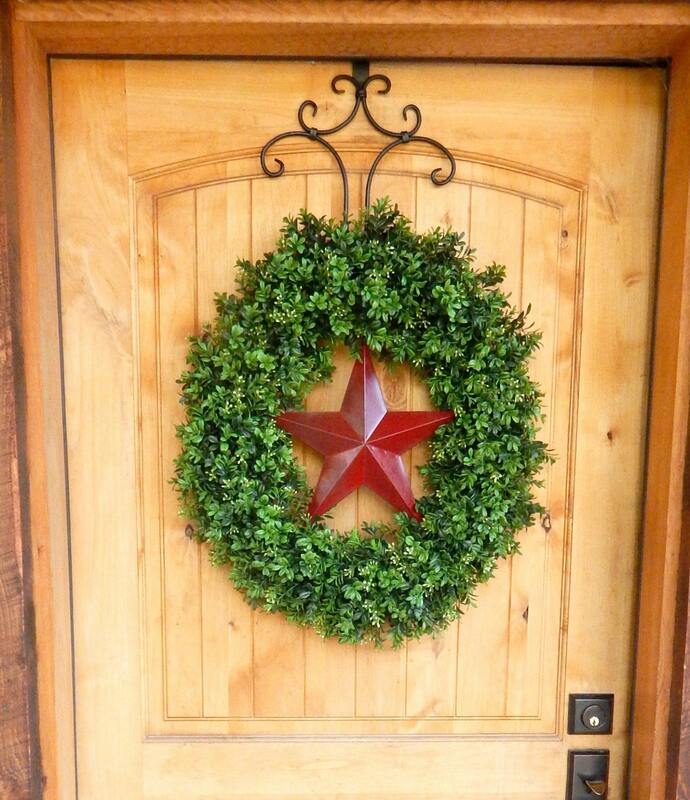 A BEAUTIFUL BOXWOOD Wreath that will Welcome everyone to your front door all year long!!! 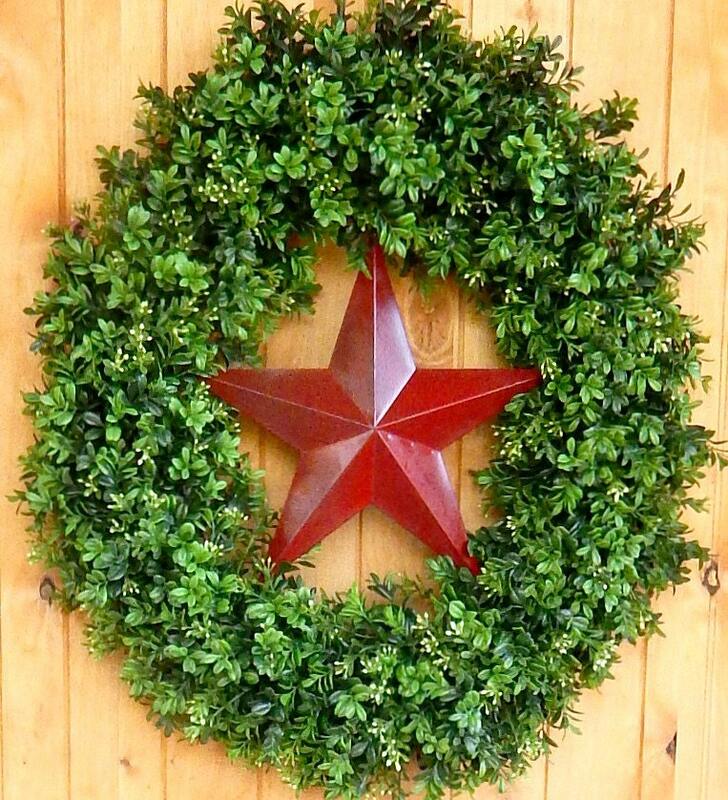 This Artificial Boxwood Wreath is on a Grapevine Base covered with Durable Plastic Faux Boxwood and has a Primitive Red Star in the Middle. 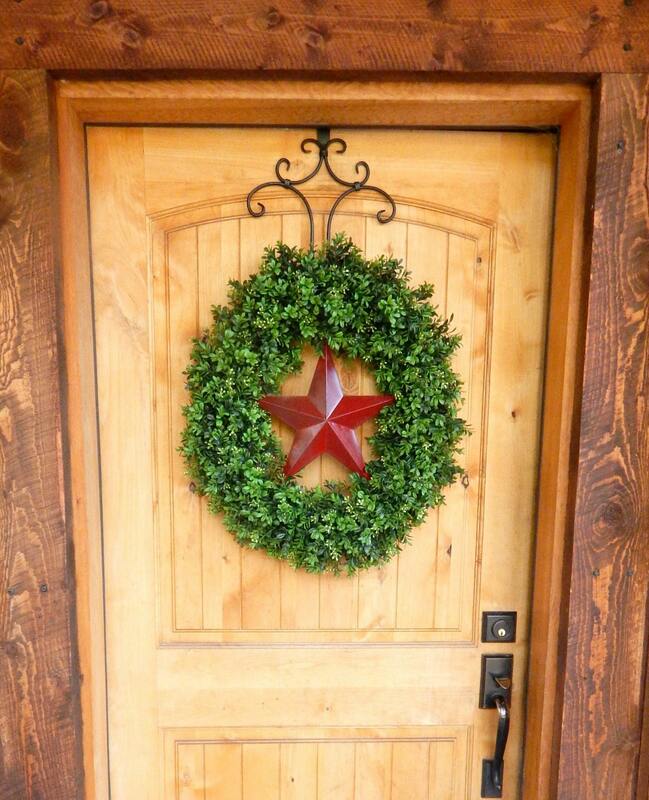 Perfect for Summer, Fall, Winter or the Christmas Season!